I don't know how the idiots programed their site to send the same test results 4 times, when I did 4 separate test, and after each test, I hit the send test results button. Every email has the same test in it. How do they do that? Must be the first test over and over. And each test I put comments at the bottom of the form for which browser I used. Where are the comments? Not in the email. 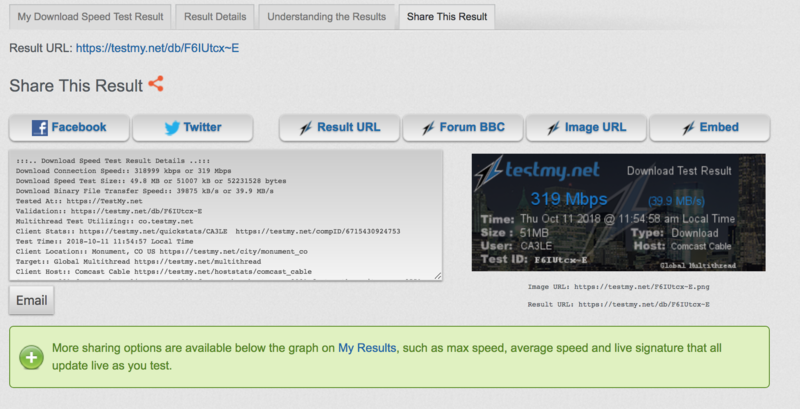 Nice test and nice looking site, but WTF, where are my other test and where are the comments from the email???? 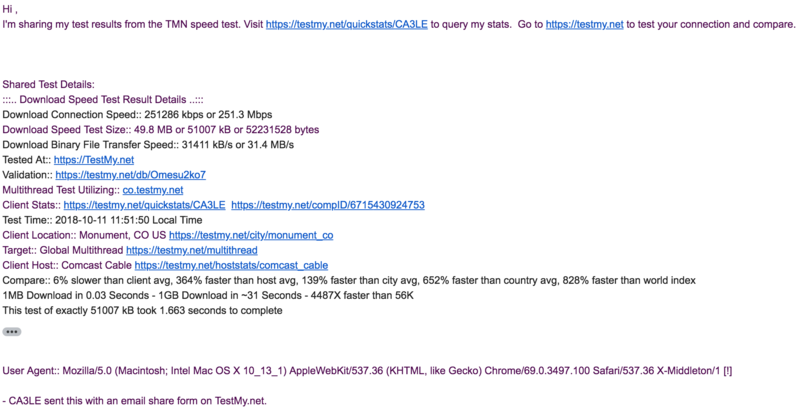 Ok, I found my comments, each email has different comments, but the test results are all from one test. All other test results are gone, or I can't find them or how to get to them. That's nice, call me an idiot. I love giving people a free service and then being called an idiot, fun times. 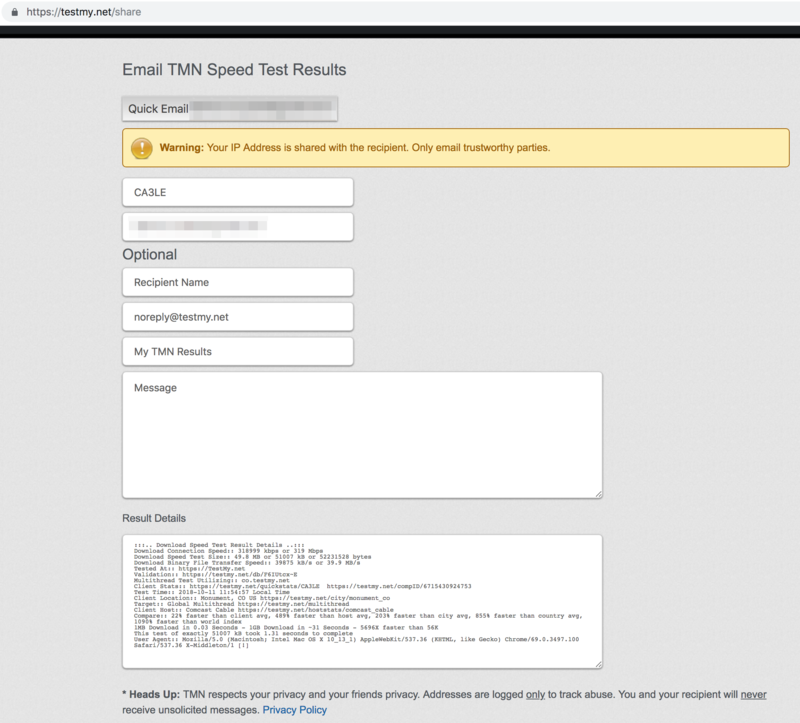 If you hit email on the results page it should send the details of that test, like this. After you click the Email button on the results page, do you see the result details being populated with information like in my screenshot? If your email client is like mine it will group those messages together. But looking at them, you should see the test details.